Several models in our chart on the best sub-$200 amplifiers had either become harder to find or had increased in price, so we removed them. These included both the Marshall MG15CFX and Vox Mini5 BRG 5W. Instead we added the ultra-versatile Marshall CODE 25W, the all-tube Bugera V5 Infinium, and the cool Pignose 7-200 Hog 20. Should You Buy a $200 Amp? Do You Need a Head or a Combo Amp? Shopping for affordable practice amps is much easier when your budget is a bit more flexible. You won’t find the best guitar amps here, but the selection is much wider. While there are definitely some great models in the sub $100 range, doubling your budget will yield much more options. This is the segment of the market where you get to experience the sweet spot of the modeling technology. On a similar note, you will also start seeing amp heads, which is something that used to be reserved for much more expensive segments of the market. We have selected seven of the best amplifiers you can grab for $200 at the moment. Let’s dig right in and see what we’ve found. Great power and unrivalled flexibility from Marshall. An awesome yet simple hybrid head that brings a rather memorable performance. Perfect balance of power, performance, and style designed for true Fender fans. Lots of power and Impressive versatility in a very low profile package. An affordable all-tube amp from Bugera. Surprising power and good squeal from this Pignose! Simple, old school solution from Peavey, at a more than competitive price. While it doesn’t promise the full Marshall experience, the Marshall Code 25W is a fantastic purchase for both casual players and performers, with 25 watts of power packed into this solid-state amp. However, the power takes a backseat to the tonal flexibility on offer. This amp comes preloaded with 14 classic preamps, four power amps and eight speaker cab emulations, as well as 24 digital effects including distortion, pitch shifter, chorus, phaser and flanger. The fact that these are further customizable with apps via the USB or Bluetooth connectivity means the versatility on offer for under $200 is second to none. There’s more on this excellent amp in the full Marshall Code 25W review. In a market full of regular combos and heads, Orange took the initiative and managed to infuse a pretty competitive segment with a bold setup. 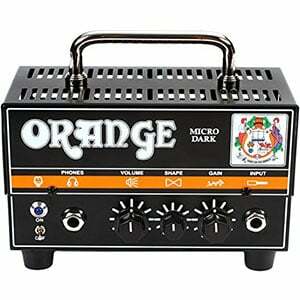 Orange Amplifiers Micro Dark is a hybrid head that packs both solid state and valve circuitry. Capable of delivering enough power to push a 4x12 cab, you can also use this bad boy in the confines of your bedroom. This is mainly thanks to cab emulation technology which Orange implemented specifically for this purpose. Aside from its unusual nature, Micro Dark is defined by its impressive tone and an extremely minimalist control cluster. 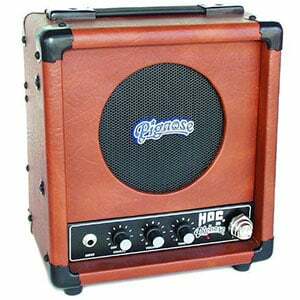 In many ways, it is the perfect amp for someone who needs a single solution to cover both home practice and gigging. Fender dug deep into their bag of tricks and found an older design that simply works. They have ported some of the best tones from their valve legends, took the same cab design, and created a modern affordable amp. Champion 40 does it pretty much all. Especially if you are a performing musician tied down by a limited budget. Great power for limited gigging, a lot of potential and a price that is extremely competitive. What else could one ask for? Compared to other models in its category, it's extremely hard to find something that offers this type of versatility while also bringing you a portion of a famous heritage. Overall, this is one affordable amp you can't go wrong with. Long gone are the times when amp heads were expensive and somewhat exclusive. Models such as Blackstar's ID: Core 40W have enabled guitar players to experience the power of a budget stack. Bringing the entire spectrum of features that we have seen in ID: Core combos, this head is packed to the brim with various voices, effects and more. The device's emulated cab line out allows you to use it as a practice rig without a cabinet. Just plug in your headphones and you are good to go. Perfect for performing musicians on a budget as well as beginners, Blackstar's ID: Core 40W is one of the rare heads you can grab in this price range. And it's worth every penny. We just had to include an all-tube amp on this list and there’s no surprise to find it’s from Bugera – probably because they are one of the only brands that actually make them at this price! As we mention in the full review of the Bugera V5 Infinium, this popular 5-watt model features a 12AX7 preamp tube and EL84 power tube projected through a single 8” Turbosound speaker. This setup delivers a rich and creamy tone with natural overdrive that’s perfect for classic vintage blues. While the tone controls are a little limited, there’s options for volume, gain and reverb, offering some variation. An excellent choice for practice and those wanting to experiment with tube amps. Pignose doesn’t make a huge range of amplifiers, but the small collection on offer is one that’s adored by many guitarists. The portable Hog 20 is a 20-watt battery-powered amp with a 6.5” speaker that offers a solid clean tone with warm and fuzzy distortion. It also looks gorgeous with its brown leatherette cover and retro appointments. As with other Pignose amps, the controls are limited, with just volume, tone and ‘squeal’ for overdrive. Still, it performs very well on both battery power and via the included adapter, proving a good match for beginners looking for a starter amp as well as buskers and performers on the road. Check out more on the Pignose Hog 20 in the full review. Peavey’s Rage 258 is not your average modeling amp. Instead of packing it full of various voicing options, effects, and other features, Peavey has decided to keep things simple. Two channels, a three-band EQ, and a little extra. That is all Rage 258 offers, and it is more than enough to dial in a killer tone. One benefit of such design is its incredibly light weight. 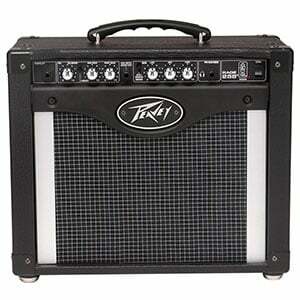 Coming in at 16 lbs in total, this Peavey is perfect for those who gig very often but don’t need ultra powerful amps. Speaking of power, you get 25 Watts RMS to work with. That is probably the ideal amount of juice for a practice amp. Overall, this is one awesome little guitar amp. If you have a budget of $200, you open yourself up to a new level of amp when compared to the entry-level practice amps that dominate the sub-$100 category. Sure, the amps on this page aren’t going to bring the house down with power or tone, but they are a big step up when it comes to output and versatility. To be classed as a good amp in this category, the model should show off good tonal flexibility – whether that comes from a variety of EQ controls, or amp modelling and built-in effects – as well as ample power. In this category you can find everything from 5 watts up to 40 watts of power, making many of these amps suitable for both home use and smaller gigging scenarios (although still in the realms of school hall rather than opera house). It’s nice to have a choice isn’t it? Choosing between a head or a combo isn’t something you can do in the sub-$100 price range, but these days – thanks to quality amps becoming more affordable – it is certainly an option. But which is right for you? Buying an amp head is the way to go if you are planning to perform to more than a small hall of people. These amp heads can be plugged into a speaker cabinet for huge power, capable of filling an auditorium. Of course, they come with negatives such as the fact that you do need to buy or hook up to a cab or PA system for output, as well as carrying extra cables, but the power and tone they offer is unrivalled. The majority of players will be best off with a combo, which allows you a play, practice and gig from an amp that combines both the head and the cab into one unit. These convenient amps dominate the budget section and, providing you have something that delivers 20 watts of power or more, you can still gig in smaller venues. At this price point, you’ll have more choice of combos too. But the decision is down to you – every guitarist is different. Decide whether you favor convenience over power and you’ll probably have your answer. As you’ll now know, if you have $200 in your pocket, you can buy yourself a very good amplifier. The models we have featured in our chart above are some of the most popular and what we consider to be the best options on the market at the moment. Have a good look around, read some reviews and watch some videos of the amps on your shortlist – eventually you’ll find one that you can’t say no to. Good luck! 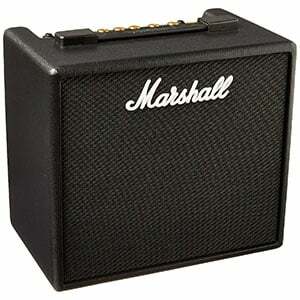 I think I should get the Marshall since I like everything from blues to metal. Hey guys.. Just save your money for the BOSS KATANA 50 for this price range.. Just beat those list all the way.. You can use it as practice amp or gig amps..!!!! Highly gigable amps.. Just mic it up.. Dont ask how the tone was.. Its PHENOMENAL..!!!! Just forget this list and Try katana 50 now.. And you’ll know what I talking about..
As a amateur guitarist I prefer to use mobile guitar pedal effects amps app like Deplike. Because I’m buying one amplifier and getting only one or two tones but with an amp simulator app I bought only behringer UCG102 for 40 bucks and bought deplike for 20 bucks and I saved 140 bucks and now I can play at least 10 tones easliy. Also you can play other guitarist’s presets in the app.